The Consumer feedback toolkit was developed as part of the Eastern Metropolitan Region (EMR) Home and Community Care (HACC) Alliance’s Consumer Feedback Project. 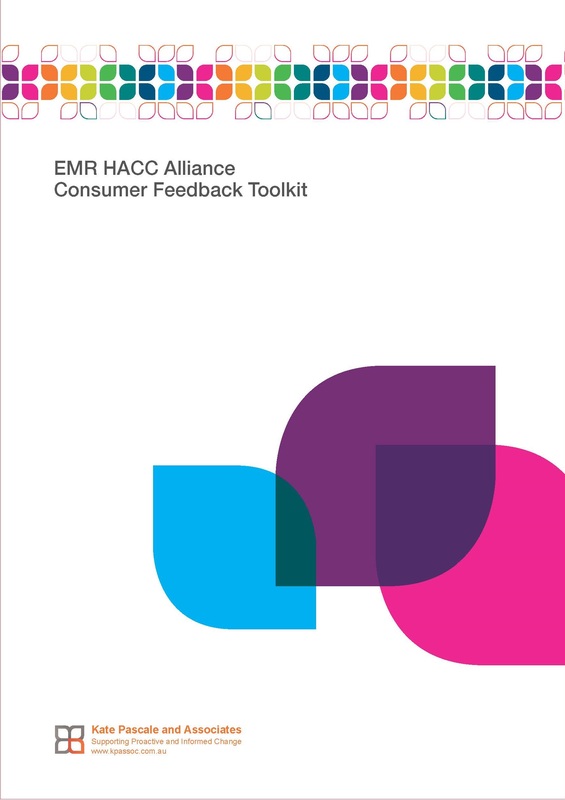 The toolkit contains practical advice tools and strategies to assist staff to design, plan and implement consumer feedback strategies that are effective, efficient and appropriate for a diverse range of clients. The following tools can also be downloaded in Microsoft Word format so they can be used electronically.